Thomas Richards Charity & Noodles and Company fought to help Stephen. 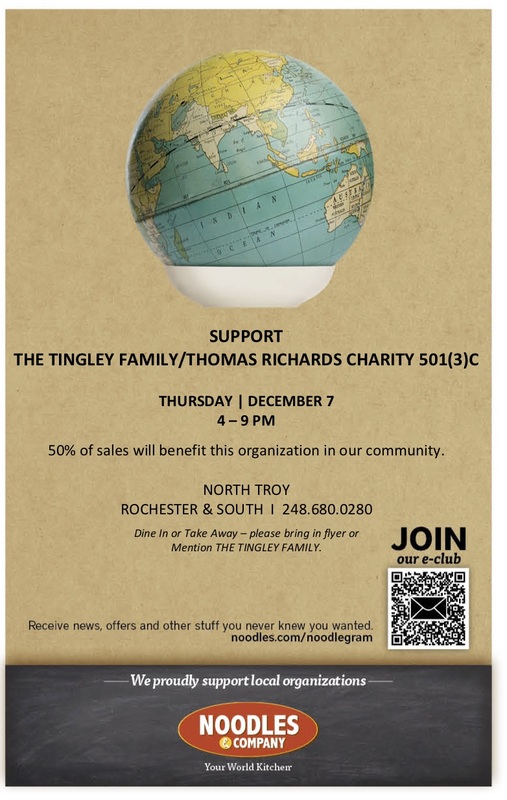 Both Thomas Richard’s Charity and Noodles came together in support of Stephen and his fight with stage 4 neuroblastoma cancer; on June 1, 2017 Noodles and Co. in Troy off Rochester Road held a fundraiser for Stephen in which 50% of all proceeds from dine-in or carry-out orders went directly to his benefit. Stephen is a four year old boy with stage 4 Neuroblastoma. In August 2016 his mom noticed a bump on the side of his head. Doctors couldn’t figure out the cause. A month later, Stephen developed a sudden fever and was rushed to the hospital and given a head CT and chest x-ray. It was then his family learned the news about Stephen’s stage 4 Neuroblastoma. The following day Stephen was transferred to Children’s Hospital of Detroit. He spent ten days in the PICU. His first two days were spent undergoing two surgeries; one for the biopsy of his lymph node and the other to put in a special line for his chemo. In that time, he had five MRI’s, and a bone marrow biopsy. He then started his first round of five chemotherapy treatments. Each lasting three to six days just of treatment. Additionally he spent three to seven days in the hospital to recover from the vomiting and other complications. Since the start of this battle, he has been in the ER three times. When he is not in the hospital, Stephen needs to see the oncologist twice a week to make sure his blood counts are still good, which usually only amounts to a week and a half at home in between hospital stays. Stephen underwent a third surgery after his fifth round of chemotherapy to remove the large tumor in his chest. He had a chest tube put in, and was in the hospital for four days. Now Stephen is having his first of two bone marrow transplants which will put him in the hospital for a minimum of four weeks. 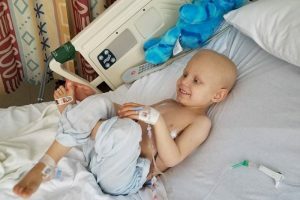 His immune system will be wiped out completely and restarted with his own stem cells. He will need to do this a second time within a month. Following that, they will be traveling out of state for the next step of treatment. Instead of traditional radiations, Stephen will be receiving Proton treatment. He will be gone for up to four weeks, living out of a hotel and hospital. Upon returning home, Stephen will need six to eight months of immunotherapy treatment involving more hospital stays. Stephen is a very strong and special boy. He wants to beat this so that he may pursue his dreams of being either a K9 police officer or a fire fighter. He wants to help others the way that people have been helping him. Stephen, along with his parents and seven year old sister, thank you for your kindness, generosity, love, support, and prayers. They couldn’t do this without you. Thank you from Mariana Sadowski Hohauser, Jon Hohauser and Thomas Richards Charity. Your donation went to directly helping his family over this overwhelmingly emotional time. There has also been an overwhelming show of support from first responders K-9 across the country posting photos of the K-9’s on his FB Page Stephen “Strong” these make him smile day in and day out. 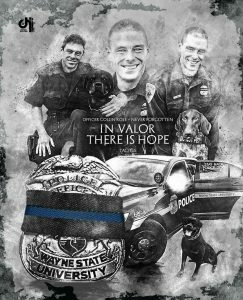 Collin Rose, 29 year old Wayne State University police officer and K9 Handler, was killed in the line of duty on November 23, 2016. Rose loved and respected the people in his community and the law he swore to uphold. He was an active member of the National Association of Professional Canine Handlers and of the Metro-Detroit Shutzhund Club. On May 11, 2017, the Green Lantern Pizza of Clinton Township was kind enough to hold a fundraiser to assist with the K9’s for #128. A portion of the proceeds were donated to the fund. Lots of supporters came out to have a great meal and support a great cause to put crime fighting K9’s on the street in Collin’s honor! The fundraiser was a success, thank you for all those who showed support. In conjunction to honor Officer Rose, Metro-Detroit Shutzhund Club head trainer, John Bochenek, and Police K9 Handler/Master Trainer, Bob Loken, have offered their time, skills and energy to train two police K9s to perform both general Police K9 duties in the name of Officer Rose– with one specifically in explosives and the other for narcotics. We also asked monetary donations to fund this project. Funding this project went towards acquiring, maintaining, and training two Police K9s to perform Police K9 duties to keep our community safe and perform specific services which comes with a variety of expenses. In addition to the cost of training which takes between six to 12 months, these care-givers needed our help to provide food, medical care, and necessary supplies associated with day-to-day care of the dogs.Upon completion of their training, the dogs were donated to worthy Police K9 Handlers, in the name and honor of Officer Collin Rose, a fallen brother, son, and friend. The GoFundMe page that was established raised over $1,800 for the K-9 project. Thank you for helping us honor Rose. 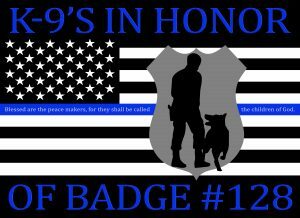 – In Honor of Badge #128. 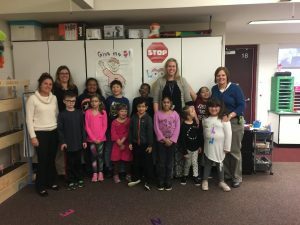 Thomas Richards Charity had the honor of helping out Megan Stockman’s MoCI (Moderately Cognitive Impaired) classroom called S.A.I.L.S at Deerfield Elementary. This class includes children K-5 who are taught (in addition to education), daily living skills. Each week they are taught the skill of basic cooking. They “travel” around the United States and learn about each state through a weekly PowerPoint and Map activity. After that they cook a traditional recipe from that state at a level in which the vast of the K-5 group can achieve together. The money, sadly, is no longer available for this weekly curriculum. Megan refused to abandoned this cooking program as it makes these students feel so successful. She started paying for the ingredients her self before she was put in contact with TRC. Thomas Richards Charity was excited to help out our “Community” and donated a Kroger gift card that will cover the groceries for the remainder of the school year. 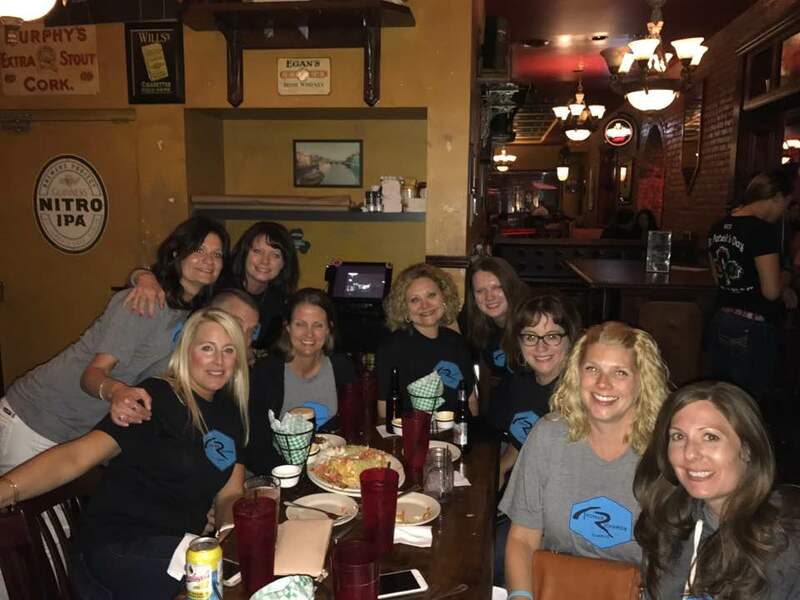 At age 39, Jennifer’s doctor said she was the youngest patient that he had ever diagnosed with Stage 4 COPD/Emphysema/ Alpha-1-Antitrypsin deficiency. 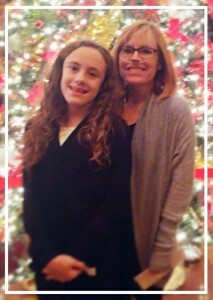 Today she has only 18% lung function, permanently requiring her to be on oxygen. With her most recent CT scan showing several spots, we cross our fingers and hope the diagnosis doesn’t show cancer. Without a lung transplant, the doctors anticipate her ability to survive would only be five years, (we are in year four) she remains optimistic about a donor and match. To support Jennifer at this time Thomas Richards Charity helped support and hold The Matt Moscato Charity golf charity outing at Sylvan Glen Golf Course and Camp Ticonderoga on July 29, 2017. The outing was a huge success that SOLD OUT, extreme amounts of love and support were given to the family. Thank you to all those that came out to benefit and support Jennifer and her family during this difficult time.